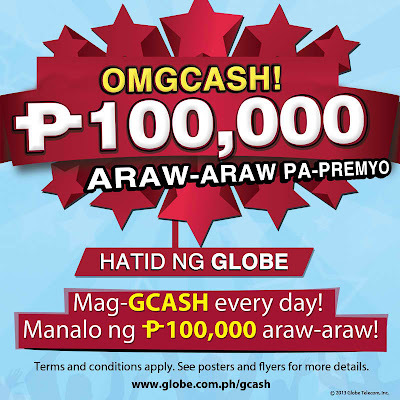 Win P100K DAILY with GCASH! Pasweet face sa back of the card, haha. Anyway, may bagong pakulo uli si GCASH ngayon! Win 100k everyday just by using GCASH para bumili ng load, or pay ng bills, send money, and even donate (yup pede ka mag donate through GCASH!). To join the OMGASH! 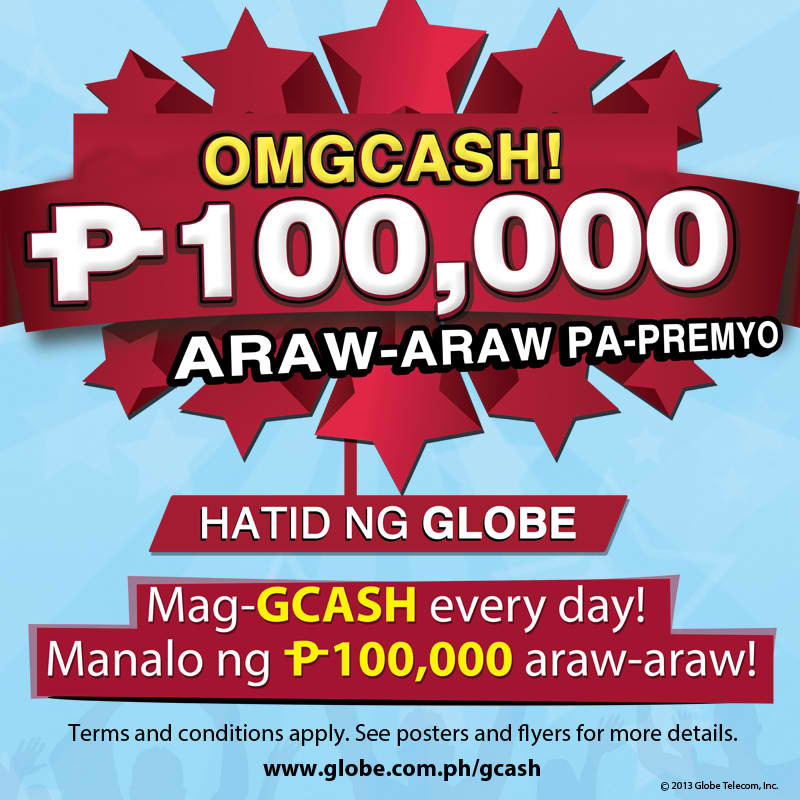 P100,000 Araw-araw Pa-Premyo, just use GCASH from May 25-July 25, 2013. Each qualified GCASH transaction will be assigned a promo code. Check if you win the P100,000 prize, the winning promo codes will be announced daily on the Globe Facebook page (facebook.com/globeph) and Twitter (twitter.com/enjoyGLOBE). In short: More transactions, moremore chances of winning! In addition, the first 10,000 Globe or TM subscribers who register to GCASH via the self-service menu *143# with the registration code GCASH100 during the promo period will automatically receive a bonus P10 GCASH!